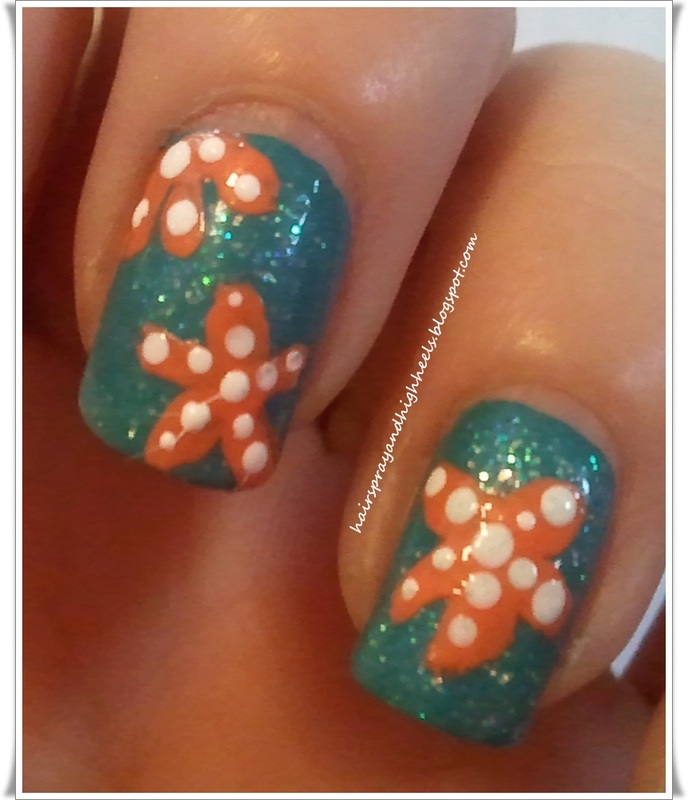 It’s a cute “Under The Sea” manicure and the whole time I was rocking it, I just kept dreaming of the beach with the cute little starfish at my fingertips. The colors I used for this manicure are Julep *Amy*, Wet n Wild “Hallucinate”, Sinful Colors “Hazard” and Sally Hansen “White Out”. Like I said, this was super easy to do all that was involved was a nail brush (I used a cheap $1 brush) and a dotting tool (I used a bobby pin). SOOO cute!!!! i should try this!!!!!!! My nails are in their b-day suits today! I need to step up my nail game ASAP!! It looks great…but when has it ever NOT looked great? Love you! This is so sweet!! I love it!! So excited to find a new friend from Naptime Review! Your nails turned out sooo cute! LOVE the starfish!! Your nails are adorable! i love the starfish! omg! I love your nails! So cute & very creative. I’m pretty blah when it comes to doing my nails. I stopped by from the Monday Mingle Blog Hop. I’m your newest follower and would love for you to stop by and say hi and return the follow. Hope you have a great day – I’ll be back to check out more later! So cute! So glad to have found you through Mom’s Mingle Monday. New follower! Super cute! That would be great for a vacation! Just found your blog, I’ve really enjoyed reading so far! Now following. Bobby pin as a dotting tool…why didn’t I think of that? Thanks!! Can’t wait to check out your blog!! I’m obsessed with “Hazard”. I’m glad I found it. Love your nails! Thanks <3 Checking out your blog now!! Seriously, these are fantastic. Perfect summer nail. I saw MissJenFabulous did it and I wanted to try it, but I wimped out! hahaha..GREAT job!!! How in the world did you draw those things? Either way, I love it and I really like those colors on your skin tone! Don’t wimp out! It’s super easy!! Ooh girl, these are amazing! Thanks so much for linking up with MM!! I LOVE this Mani! How cute and the colors are perfect!! Holy cow! I LOVE THIS MANI!!!!! Looks awesome! Definitely try it out and let me know how you like it for your daughter. Thanks <3 I think I'll wear it on my beach vacation! I did these nails for my daughter’s first birthday beach party. 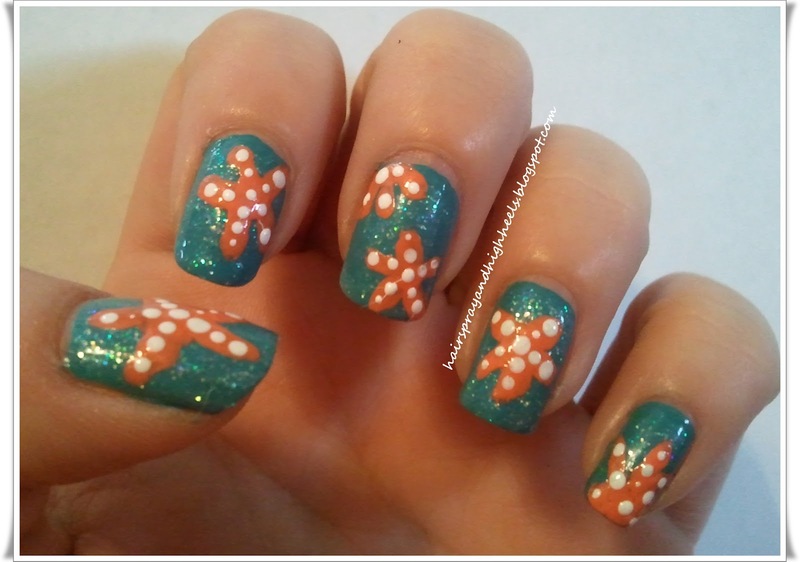 Too cute and a lot easier to do than they looked!